The trail heading west (and up hill) from the Goodan Staging area is now open. In about 0.9 miles you reach the kiosk pictured above. West Sycamore, a part of Mission Trails Regional Park provides about seven miles of multi-use trails. There are views of the Goodan Ranch to the south; tooth rock to the north and the ocean to the west. 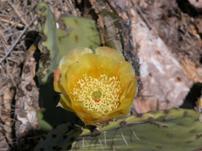 Karen and I recently hiked to the Stonebridge Parkway Staging area (still closed) which is about a 4 mile round trip. There is NO shade so be sure to start out when it is cool and bring lots of water. We met cyclists and equestrians and all seemed pleased with the trails. 2013 has been a good year for the Friends and we have participated in several events bringing recognition to our Park. We have just provided an infra red camera to help monitor the wildlife and helped with providing an additional taxidermy critter for the visitor’s center. Do stop in and sit under the oak tree within the center! What we do is a reflection of your continued support. Yes, it is time to re-new your membership as our year runs from 1 Jan to 31 Dec. In Attendance: Carol Crafts, DeAnne Erickson, Gardner Grady, Ann Tipps, Karen Larsen Gordon and Terry Callan. Phoenix Von Hendy. The minutes of the August 5, 2013 meeting were amended to add Ann Tipps in attendance. A motion was made and passed to accept the amended minutes. Treasurer’s report: Income for 2013 is $2,239. Expenses for the year are $581. Total $13,321 in assets. The CINCH $300 brochure fee is pending payment. A donation is expected from Cindy Baker for a copy of our book. She is doing archeological work on the parcels adjacent to Camp Elliot. The Poway Days Parade participation was well received. Phoenix delivered the wildlife camera to County Staff on November 1, 2013. Ranger Report: Maureen Abare reported that Matt has been promoted and a new DM will be assigned. Sergio has left so another Parks Maintenance Worker will be hired in November. Studies are being conducted on mountain lions, rainfall and a creek assessment study regarding replacing bridges south of the Visitor Center. Rogue trails in the upper preserve will be closed for restoration. A bobcat specimen suitable for taxidermy is ready for installation in the model tree situated in the lobby of the Visitor Center. 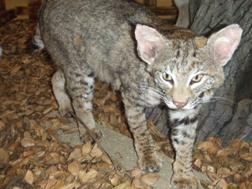 The Friends of Goodan Ranch are funding ½ of the cost of the bobcat. The Owl Program Carol was scheduled to present in September was cancelled due to lack of attendance. A Project Wildlife Bat program was well received. The speed limit has been raised on Sycamore Canyon Road between Rolling Hills and Sycamore Canyon Stables from 35 to 40mph. Phoenix plans to draft a letter protesting the change. Three trail crossings are impacted across Sycamore Canyon Road. Everett P. Siehe joined Carol on a visit to the ranch in order to share familial recollections of living in the canyon. His family, the Danielsons, homesteaded in the canyon. Identification of the schoolhouse location was made, as well as the Fischer homestead site (also serving as the Post Office). Stories of plane crashes and missile explosions were told. 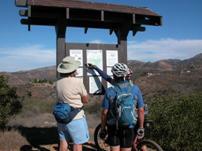 DeAnne shared the new trail map being distributed at the kiosk at the Sycamore Canyon Road Staging Area. Having ridden the southwest trail loop, signage is in place. Much discussion of the trail’s merits ensued. 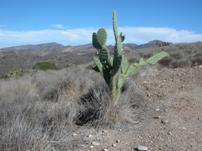 West Mission Trails is bringing on rangers responsible for the area. Clark Canyon rogue trails are problematic, with management resources limited and poor trail design. Wildlife monitoring has been postponed. Gardner has been attending the Trans-County Trail meetings. Trail assessments are being conducted through Los Peñasquitos Canyon and Poway to Martha’s Grove. Permission by 5 property owners for access to Calle de Rob may facilitate access to Highway 67. Continuation on Foster’s Truck Trail and to the San Vicente Reservoir is being discussed. Nominations for officers and board members for 2014 were made. The existing officers and board members are willing to remain in their current positions. Formal elections will take place at the next meeting. Meeting was adjourned at 7:55pm. Next meeting: February 3, 2014, 7:00pm at Coco’s Poway. Over ten miles of trails and service roads open to hiking, mountain biking and equestrian use. Preserve visitors are welcome to visit our new visitor center. 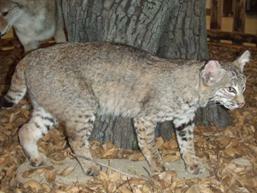 Live animals and exhibits on Goodan History, Cedar Fire, Kumeyaay and the MSCP are on display. Never heard of Geocaching? Well, now is the time to learn. Geocaching is a sort of treasure hunt, where users use a handheld GPS device to find a hidden container, usually containing a log book and small trinkets. This is your chance to experience this sport in theonly County of San Diego Park where it is allowed. This program is aimed at guests who have never played the sport and would like to learn about it. A slideshow and discussion in the visitor center will be followed by geocaching out in the park. It is recommended that guests bring their own GPS units as the number available from staff are very limited but one can still enjoy it without one. Two new geocaches will be placed out for this event! Space is limited to 50 so please call (858) 513-4737 for reservations.